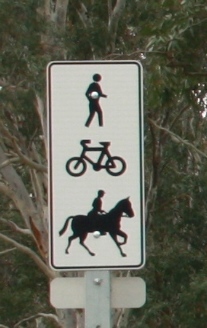 This popular Adelaide Hills trail is a shared path for people wanting to cycle, walk or even ride horses. It extends from Oakbank, through the towns of Woodside and Charleston and ends at Mt Torrens. It is hoped that future stages will extend to Birdwood and Mt Pleasant. 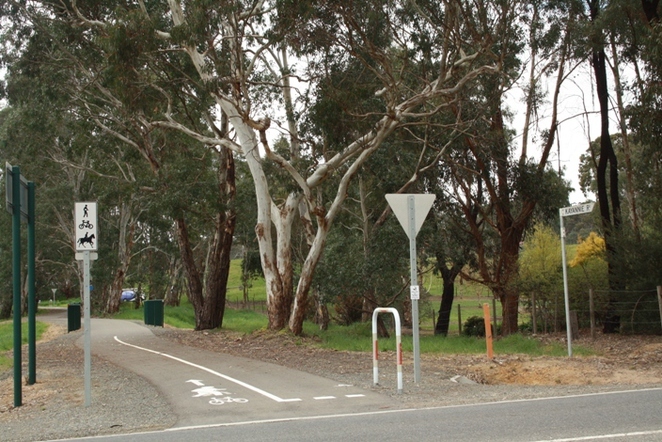 First opened in 2010, the trail follows an old rail corridor through the Onkaparinga Valley. It was named in memory of champion Australian cyclist, Amy Gillett who was tragically killed whilst training in Germany in 2005. It's an easy walk or ride and very popular with families on weekends. The trail runs mostly parallel to the Onkaparinga Valley road and crosses over this road in a couple of places at Woodside. It's well signposted and easy to follow. 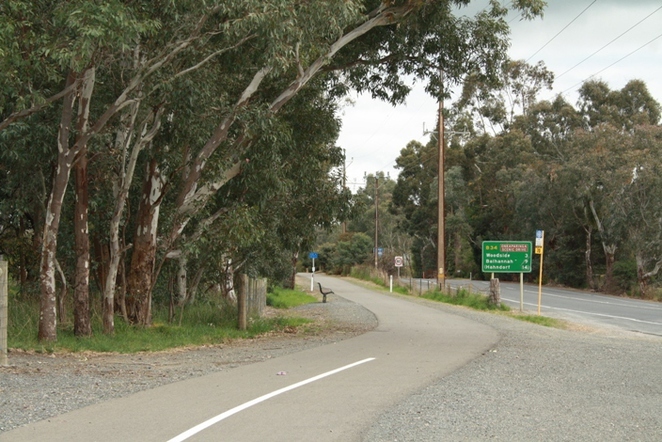 The Oakbank to Woodside stage is 4.5 kilometres long, Woodside to Charleston 5 kilometres and the last stage, from Charleston to Mt Torrens is the longest stretch at 7 kilometres. For walkers, there are bench seats along the way to rest and take in the tranquil rural scenery. The trail takes you through corridors of eucalypts, over open paddocks and past vineyards. Parking areas can be found near a number of roads that cross the trail and there are parks and public toilets at Oakbank, Woodside, Charleston and ending at Mt Torrens. Oakbank and Woodside have cafes and bakeries to enjoy a hot or cold beverage and food, before or after the ride. Make sure you also stop and have a browse in the many interesting shops along the way. 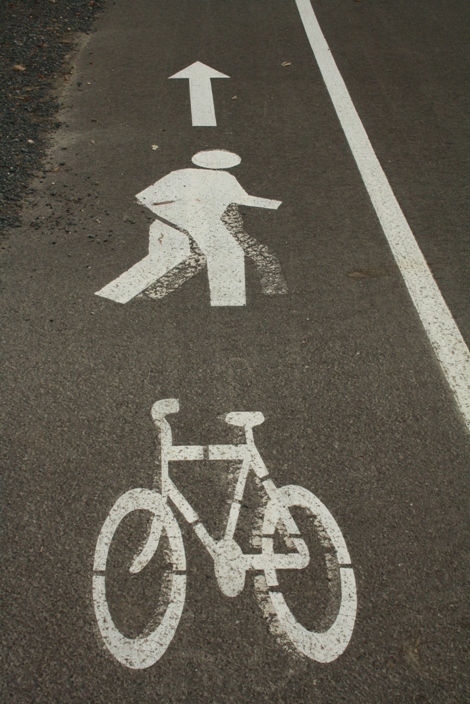 The bike trail is a fun and family friendly day out and a new way to discover the Adelaide Hills. When: Anytime of the year.